Garden Grove is situated in the northern part of Orange County, California inland of the Pacific Coast. This is one of the straighter, tidier towns in California, as it is home to a huge religious contingent. It also has the second largest Vietnamese population in the United States. The total population is 170,883. Originally it was a farming community that grew walnuts, oranges, chili peppers and strawberries. If you are looking to buy a home here you will notice that there are next to no older buildings in the area. Even though it was founded in 1874, all of the buildings are mid-century in flair, because a big earthquake devastated the town in 1933. There are many of the low single story flat homes that are in the style Miller or Lloyd Wright. There are also many Spanish style homes with the adobe fronts and gated central courtyards in Garden Grove. Over the years, downtown Harbor Boulevard has become an entertainment and shopping district with several big hotels. All of the fire hydrants in the city are painted with a big strawberry to symbolize The Annual Strawberry Festival, which has been a tourist attraction since 1958. The city is also home to three major theaters including the Garden Grove Playhouse, the Gem Theater and the Festival Amphitheater. There is also an annual Shakespeare Festival in the same time. Garden Grove is a pet-friendly place with several parks right in town including Pioneer Park, Woodbury Park and Euclid. Garden Grove is also well known for The Atlantis Play Center, which features a water feature with a zoo of concrete animals. The nearest ocean beaches are a drive west to the coast and include Huntington Beach, Laguna Beach, Long Beach and Newport Beach. Some people buy a vacating home in Garden Grove and then make the short trek to the beach by car. One of the biggest attractions is the Crystal Cathedral. This is a huge glass cathedral in the middle of town that serves as the set for many religious broadcasts, originally the home to Robert Schuler and the “Hour of Power”. As this is a deeply religious town founded by Methodists many years ago, you will not find an official “gayborhood”, that is why it is very important if you are going to locate to Garden Grove, that you consult with a Garden Grove gay realtor to find out what the best living options might be for you. There seems to be only one gay bar in Garden Grove called The Frat House, located on Garden Grove Blvd in the city. The average listing price for homes for sale in Garden Grove was $439,030 for the week ending November 6, 2013. There are short sales and bargains to be had as there were also 252 going through the process of foreclosure. House prices have also been increasing since the fall of last year by 19.8 % as of November 13, 2013. For more information about the Garden grove Chamber of Commerce go to http://www.gardengrovechamber.org/. The prices of homes are on the rise. The real estate market has started experiencing a boom in many markets, but it is still a good period to buy a home because rates are low and prices are expected to keep rising. Therefore, any home you buy now will very likely have an increase in value. Buying a home is, however, one of the greatest investments you may ever make, so you need to do adequate research before signing that purchase contract. As you search for your ideal home, a few properties will really strike your attention. You should note them and do deeper research before making an offer. For instance, you should find out the going rate for similar properties in the area. Ask your Chicago gay realtor to provide comparables for review, and avoid using on-line comparables as the data is often unreliable. Manage your emotions when negotiating the price of a new home. Don’t let the seller know that the home is exactly what you’ve been searching for â€“ so they don’t take advantage. In addition, you should avoid letting the seller know if have an urgent need for a home. Keep your motives private, and remind your agent to do the same. The more insight you have about the seller’s motives for selling the property, the more negotiating power you will have. For example, if the property is up for sale because the seller has relocated to another area, use this knowledge to your advantage. If the seller is currently paying a mortgage on the vacant property, use this as an opportunity to negotiate the best price. 4. What Repairs Does the Home Need? If there are repairs needed (especially major repairs), then submit a lower offer and waive your contract inspection rights ~ this may provide some relief to the seller knowing the deal is done, and give you the opportunity to purchase at a lower price. A recent study revealed that the average amount for closing a home buying deal is over $3,500. Even though this may seem rather small compared to the price of the property, you should be aware that this is an upfront cost you may be able to avoid. Ask the seller to pay closing costs, if you don’t ask, the chances are 100% that they won’t pay, so ask. When you are trying to determine the price of a new home, do your best to save as much as you can, but also bear in mind that because prices on the rise, sellers now have more leverage, and better offers could come in from other would-be buyers. So don’t allow your ideal home to be taken by another person because of a few thousand dollars. Not so long ago, Port Saint Lucie (or Port St. Lucie) was simply a fishing camp located just north of the St. Lucie Fork River and south of Fort Pierce. In the 1950s, bridges were built to allow vehicles to easily access what was first known as River Park and later became the City of Port St. Lucie in 1961. As it is a newer city the homes here are from that era and in fact, the city even has a 1950s era styled housing development that was built in 2006. Initially it was built to be a residential area but it quickly turned into a tourist destination. The city now has a population of 155,251. The town square is called Tradition Square and was chosen by HGTV as one of America’s 100 Best Cities in 2009. The city is home to Tradition Field, which is home to the New York Mets Spring Training. The city is also known for its PGA Village golf courses and Port St. Lucie golf course. There is only one gay bar, called the ReBar in town but the city has a large gay population that is integrated into the whole community ~ the city does hold a Gay Pride celebration every year that is well-attended. Fort Lauderdale and Wilton Manors are near enough so that LGBT residents can enjoy some of the gay night-life in a larger city. It is best to consult with a Port Saint Lucie gay realtor to find the best property investment for you. Many of the homes in Port St. Lucie are mid-century modern style, even if they were built later in the century. This was part of an overall aesthetic plan to keep the place looking traditional. This style of home mainly features flatter roofs and big square rooms with big back sliding doors. Homes were usually painted in greens, aquas and blues. There are also quite a few resort style condos and townhomes such as the ones found at PGA Village Verano and other gated communities. Port St. Lucie is one of the most beautiful places in Florida and it is also very near Fort Pierce that has many attractions including the Heathcote Botanical Gardens, the Oxbow Eco Center and the St. Lucie County Aquarium according to our Port St. Lucie gay realtor. Mostly the entire county of St. Lucie, where Port Saint Lucie, Fort Pierce and Hutchinson Island are located are known for their incredible beaches. Fishing is a huge past-time in this area of Florida that is known for its trophy catches of tuna, sailfish, swordfish, kingfish, cobia and more. Reef diving as well as diving for lobster are also popular past-times. As of Oct 30, 2013 the average listing price for a home in Port Saint Lucie, Florida was $178,491. There are an incredible number of homes going through the foreclosure process in the area. As of October 30, 2013 there were 3,775 homes going through some stage of foreclosure. For more information about Port Saint Lucie go to the city’s Chamber of Commerce site at: www.stluciechamber.org. Newport News is an independent city in the traditional Hampton Roads area of Virginia. It is situated on the northern shore of the James River in the Tidewater Region and first founded in 1634. It is and has always been an important seaport and railway connection for the area and it is still known as a headquarters for the shipbuilding industry. The city’s downtown is still where it originally was centuries ago. The southeast end is predominantly African-American and full of housing projects and further north are the shipyards and pier. The north end of the city is wealthier and features many historical and eclectic building designs with views of the James Rivers. The downtown has been substantially altered and has many new commercial and mixed development areas such in the Oyster Point area of the city. The City Center at Oyster Point is a beautiful new development that is often also called The New Downtown that pays homage to the maritime history of the city with its layout. There are many brand-new condos and mid-rise buildings in this part of Oyster Point that have outdoor pools and other amenities. Port Warwick is a similar development built as a pedestrian-oriented community that is named after the fictional city in William Styron’s novel “Lie Down in Darkness.” The buildings have a retro feel that makes the area feel like an older small town. There are many affordable duplexes and carriage homes in this development that are not new but have many of the architectural details of old homes. Hilton is a planned English village style village with cobblestone streets and genuine old housing that was built from 1918 to 1921. The area was originally built for employees of the Newport News Shipbuilding & Drydock Company. Most of the homes here are in the Jacobethan, Dutch Colonial Revival, Tudor Revival and Colonial Revival styles. The area is known for homes with individual eccentric sheathing, shingles and clapboard details. Many of them have odd roofing in clipped gambrel and clipped gable styles. All of the ships here are named after shipyard and government officials. Morrison, also known as Gum Grove is an area that is known for its quiet tree-lined streets and parks. The homes here are mainly from the architechtural era of the early fifties and there are 24 older warehouses in the area that are in the process of gentrification and urban renewal making this a good area for investors. Gay life is not that apparent in this very traditional town that is known for its conservative views which is why it would be a good idea to consult with a Newport News gay realtor to find the situation that is most appropriate for you. There is no dedicated “gayborhood” but many gay folks live in the nearby area of Ghent, Virginia that is home to the Chrysler Museum of art and nearer to Norfolk. You can get more information about the many features and attractions of Newport News at http://www.hamptonroadschamber.com/page/newport-news. Scottsdale is a city of 221,789 people that is just east of Phoenix in the Salt River Valley in the Sonaran Desert. It is often described as a “desert version of South Miami Beach” with less of an overt gay population. A dry riverbed that used to serve surrounding ranches divides this sprawling suburban metropolis. The city is home to many lush green golf courses. There are not a lot of gay bars in Scottsdale but there is a very well-known one in Old Town Scottsdale called BS West; a video bar with an attached gallery and a boutique.Â Most of the gay bars are in nearby Phoenix and include Kobalt, Nu Towne Saloon, Icepics Video Bar and Charlie’s. Old Town Scottsdale is also the most artsy and where you are likely to find the most LGBTQ citizens. It is the center of nightlight and it also has many fashion, antique stores and galleries.Â A lot of it is themed after the Wild West. It is home to many old mansions that have been refurbished into luxury condos. One of the most highly desirable places to live in Scottsdale is in the Shea Corridor that is also known as the Resort Corridor to the locals. The poshest mansions and ranches tend to be in the area of what used to be Gainey Ranch and McCormich Ranch. In the latter patter of the 2,000’s homes here gained in value by as much as 38.4%. South Scottsdale is known as the less expensive working class area of Scottsdale. Many LGBT individuals also own and rent here as it is very close to the Sky Song Center, which is a new research center for Arizona State University. North Scottsdale is the most suburban area of the city and is backed by the McDowell Mount range. This area is also home to many different company headquarters including Fidelity Investments, GoDaddy.com and GE Capital. Scottsdale is well-known for its arts community and its very famous Scottsdale Arts Festival. The Main Arts District has expanded over the years into the more contemporary Marshal Way Arts District. It is also home to the Scottsdale Museum of Modern Art. The city is one the country’s largest art markets ranking with New York City and Santa Fe in terms of being an income-earning town for artists. As of the week of October 13, 2013 the average listing price for a home for sale in Scottsdale was $813, 213.00. There are short sales to be had as there are 1,196 homes in the stages of foreclosure. For more information about Scottsdale, Arizona you can visit the city’s Chamber of Commerce site at http://scottsdalechamber.com. Irvine is a progressive city that offers residents a nice balance between urban and natural living. 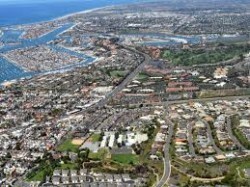 This city of 212,375 is in the heart of Orange County near the coast and it is home to 100 different multi-cultural companies, it is well known for being one of the newer cities in the world, deliberately planned in 1959 to be a community that surrounded the University of California Campus. The layout of the city, designed by Los Angeles architect William Pereira, was divided into townships called villages. Each township has its own homes of similar designs. The streets are wide with well-landscaped borders. The area also has a huge greenway, parks and greenbelts that are lined with bicycle corridors. Many of the neighborhoods are regulated in the same way that a condo board is and residents have to keep the house roofing, paint colors and landscaping to a uniform appearance. There are some very interesting architectural styles in Irvine because each of the original village was planned to have their own individual identity. 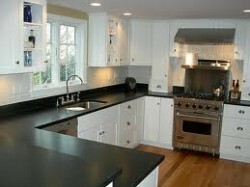 For instance, in Northwood Village, the homes were a mix of Bungalow and Craftsman styles. Northpark Square is known for its Spanish Mission style Homes and University Park is known for it’s California styles. Other village housing styles include Moroccan, Neo-Eclectic, French Country, Monterey, Italian Country, Spanish Colonial, Prairie Style and Futuristic. All in all there are over 100 villages in Irvine so it is best to consult with an Irvine gay realtor to find the neighborhood and the housing style that is right for you. If you live here you must have a car, which is also handy because it is just south of West Hollywood, which is the largest of the gay-friendly meccas in Los Angeles. Irvine itself is accepting of LGBTQ residents, but there is no designated gayborhood. There is a place called Red, which is gay bar with a drag show located in in the Irvine Business Complex. It is often called “the best gay bar in Orange County” as it is always installing new, thought-provoking environments, shows and installations. Lifestyle is so healthy here in Irvine that you are likely to meet more LGBT friends on the beach then in a cocktail bar. Both the Corona Del Mar State Beach and the Little Corona Del Mar Beach are very nearby. Irvine was chosen as the fourth best place to live in the United States in 2011 by Business Money Magazine. It is also home to Brandman University and satellite campuses of California State University Fullerton, University of La Verne and Pepperdine University. A big attraction here is Disney’s California Adventure, which is similar to Disneyland that is built right across the street from the original Disneyland and features many speedy and terrifying rides. Other points of fascination include the Ayn Rand Institute, the Irvine Spectrum Center, the Tustin Market Place and the Wild Rivers Water Park. For more information about this fascinating city go to the city website at www.cityofirvine.com. Tallahassee is the capital of the state of Florida with a population of 375,371. It is home to Florida State University, Florida A&M University and nine other universities and colleges. It is also a big business center for Florida with a rapidly growing high-tech and information technology economy. It is also one of the hilliest cities in Florida and is bordered by both Lake Jackson and Lake Lafayette. The northern end of the Apalachicola National Forest is at the northern end of the city. It is one of the few cities in Florida that has been known to see a few blizzards; it does snow lightly in the winter sometimes, otherwise it is generally a hot and humid place. It is also one of the few cities in the Florida Panhandle that is known for voting democratic and for more liberal points of view. It also has a very large well-attended Pride celebration called Tallahassee PrideFest each April. Unlike many big cities, there are not a lot of gay bars right downtown. Rehab is the nightclub downtown on Tharpe Street that seems to be the center of a lot of action. According to our Tallahassee gay realtor many gay people live in the All Saints neighborhood, which is where a lot of artists live. Gay hang-outs in this neighborhood include the Fermentation Lounge that serves beers from local microbrewries and the All Saints Cafe, which is a quirky 24-hour spot. In the mid-town area of town there are also some gay-friendly hangouts including a rock-n-roll grill called the Midtown Filling Station, the vegetarian restaurant called the Black Dog Caf© and the high-end fusion cuisine place called Cypress. If you love wild-life, you will love all of the parks with hiking trails near Tallahassee. There are thousands of acres of natural lands surrounding the city including the Angus Gholson Nature Park, the Apalachicola Natural Estuarine Research Reserve, the Blountstown Greenway and Falling Waters State Park. Many of these trails have extended boardwalks sitting over the swamps. The average price per square foot for Tallahassee Florida is $97.00 and the housing market has not risen or fallen substantially over the past year. There are many short sales to be had here with 1,830 in one state of the foreclosure process or another as of October 16, 2013. The average listing price for a home is $207,439. Consult with a Tallahassee gay realtor to find the best living situation for you. For more information about the city of Tallahassee and its many features and attractions go to the city chamber of commerce website at talchamber.com. 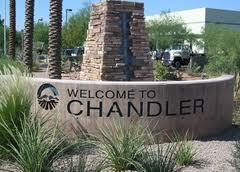 Chandler is part of the Phoenix, Arizona Metropolitan Statistical Area. It is bordered to the west by Phoenix, to the north by Mesa, to the south by the Gila River and to the east by Gilbert. Chandler used to be known as Chandler Ranch when it was first established in 1891 and by 1913, it became more of a resort destination and home to the resort known as the Hotel San Marcos. In fact, the Hotel San Marcos was one of the first places in all of the U.S. to be attached to its own golf course. This charming community is still well known for its many picturesque golf complexes and golfing communities including the Whirlwind Golf Club, Bear Creek Golf Complex, Ocotillo Golf Resort, Lone Tree Golf Club and Sunbird Golf Club. This city was a small town for decades but since the 1990’s nearly 100,000 homes have been built. The population has surged to more than 238,000 people who enjoy living in a progressive, ethnically diverse community that still seems very clean and new. It has a charming revitalized downtown that includes a massive Center of the Arts and many new parks, restaurants and retail centers. In 2012 it was given the title of being an “All American City” by the National Civic League. The good news is that this city cannot expand more because it is limited physically by the Gila River Community and expansion-wise by other built-up cities. Chandler is an ideal place for LGBT night-life as you can enjoy the gay-friendly bars and restaurants downtown like the Kokopelli Winery and Bistro and then travel to nearby Phoenix to dance the night away at Club Vibe, Charlie’s and Colbalt. There is no dedicated gay neighborhood, just simply because Chandler is large and sprawling and more suburban in nature than downtown Phoenix. You definitely need a car to live here. It is also a good idea to consult with a Chandler gay realtor to help find the best neighborhood and home for you, and don’t forget that there are many communities here that have been developed especially for golfers. The average price per square foot for a home last summer was $135. The average listing price for a home for sale was $358,422 for the week ending September 18, 2013. If you are looking for a short sale or a bargain Chandler might be the place to look as there are, as of September 18, 2013, 1027 homes going through the foreclosure process. As this is a desert town became irrigated many of the homes are Ranch style or Southwestern style and many of the pricier ones have big pools. Aside from being affordable, Chandler is also known for many other attractions the annual Ostrich festival it holds everywhere as there are many ostrich farms in the area. It is also home to the Arizona Railway Museum and the Holocaust and Tolerance Museum. For more information about the Chandler and its many features and attractions go to the Chandler Chamber of Commerce at www.chandlerchamber.com. When it comes to owning a home, making a down payment can be very challenging. However, there are some instances you can follow in order to purchase a home with zero down payment according to our expert gay realtor. If you have served in the National Guard or in military, then you are eligible for a ZERO down VA mortgage. The lender will request your COE (Certificate of Eligibility), veterans may obtain this on-line. The VA guarantees your home purchase to the lender. A funding fee maybe included in your total loan amount for the guaranty. This can be furnished by charitable foundations, local governments and other organizations. This cannot be supplied by any anyone who has other interests in the finances of the home sale e.g. a real estate agent, the mortgage broker or the property owner. Most of such programs include guidelines and are limited only for first-time home buyers, buying their primary residences. Some will have you go through a homebuyer education course first. This is more of a silent second mortgage that won’t require any payments. They may only ask for a refund once you sell the home, or it could be waived if you stay in the home for x amount of years. Teachers, firefighters/emergency medical technicians and law enforcement officers who qualify for the program can purchase any HUD Home at a 50% discount. On the other hand if you use an FHA loan to finance your home, they will only require a down payment of just $100. The program provides a payment-free and interest-free second mortgage for 50% of the total homes value. The second mortgage balance is forgiven if you live in the home for three years or longer. FHA mortgages only require a down payment of 3.5%. Home buyers can get it from secured loans, employers, friends, relatives and other organizations. This is part of a rental agreement. With the lease option deal, the renters can lease the house for a planned period of time, with an option to buy the home at some future date. This gives the buyer time to save for a down payment, while locking in today’s housing prices. Any of the top gay real estate agents at GayRealEstate.com will be happy to provide you a free consultation to discuss your housing and financing needs. Just review the profiles of the agents in the city you’re considering, and contact them today! No cost or obligation.